SUPERSTAR stayer Burn One Down remains the favourite to take out the $175,000 Sandown Cup on May 25 ahead of the heats of the group 1 feature this Thursday night. Trained by Seona Thompson, Burn One Down is the class runner of the series – boasting 24 wins from 40 starts with $332,964 in prize money earnings. After sustaining a hock injury in the Group 1 Super Stayers on March 4, Burn One Down returned to the track with an emphatic last-to-first victory in the Group 3 The Racecallers (595m) last Thursday at Sandown Park. Clocking 34.30, the effort was enough to convince Thompson her champ was ready for the challenge of contesting the heats of the world’s richest staying race. The back marker has been installed as the $3.80 top elect with Sportsbet to win the final next week – in order to get the chance to do so he must finish first or second in his heat on Thursday night. The son of Buck Fever and Fancy Jaffa will exit box six in the third of four heats, a draw from which he has won three races in the past. It won’t be a walk in the park for Burn One Down, coming up against star NSW stayer Starza Light (box seven) and the inform Dundee Calypso (box two) – a winner of her past four in a row. However, if he is anywhere near his best, Burn One Down should be winning – with bookies installing him as the $1.80 favourite to win his heat. Kennel mate Trip To Eden is the second elect with bookies to take out the Sandown Cup final, currently a $5 shot with Sportsbet’s all-in market. The son of Solve The Puzzle and Key To Eden hasn’t missed a top three finish at his past five starts, with his most recent appearance being a narrow second behind Dundee Calypso in the Group 3 Lizrene (715m) last week. Four greyhounds share the $5.50 quote to win the decider – Fanta Bale, Bogie Bekim, Midnight Elsa and Dundee Calypso. Fanta Bale is a three-time group 1 winner and she was far from disgraced when running second in the Racecallers last Thursday behind Burn One Down. She has drawn perfectly in box one in her heat this week and looks a genuine chance of qualifying and playing a prominent role in the final. Bogie Bekim is a group 1 winner, having defeated Trip To Eden in the Group 1 Galaxy (715m) at Cannington earlier this year. He comes into the Sandown Cup series in terrific form and is another big player. Midnight Elsa is the young gun of the series – she clocked a flying win at Sale over 650m last start, however the question remains whether she will run out the testing ‘700’ journey. Dundee Calypso has really excelled over the last month, winning her past four in terrific fashion. Her last triumph was a determined effort in the Group 3 Lizrene on May 11 – she will need to hold out Burn One Down to win her heat – but even if she only can manage second she will progress through to the final meaning all bets on her to win the Cup will remain alive. The market then drifts out to double figures, with the best of the rest being Dundee Osprey at $10. He is racing slightly below his best at the moment, but the triple group 1 winner can never be discounted. 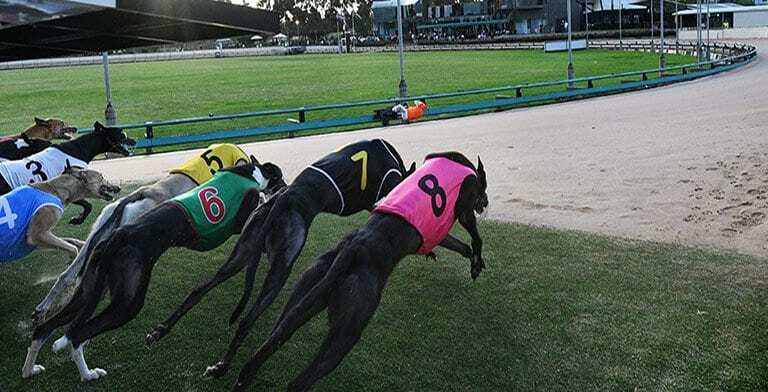 Four heats of the Group 1 Sandown Cup will be run and won on Thursday night – if you feel like having a bet be sure to check out our free selections paired with the best bookie odds.